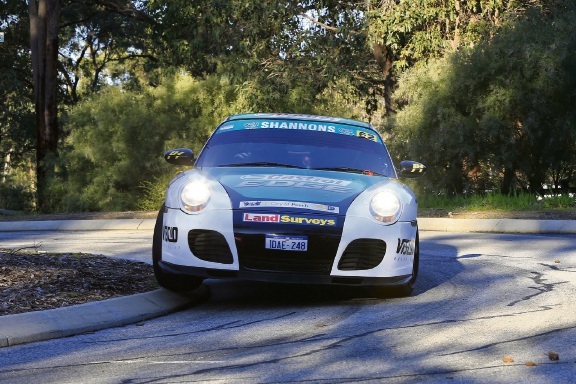 PETER Rullo, father of emerging V8 driver Alex, and Jimmy Marquet were Targa West rally winners at the weekend. The pair won the Competition Modern category and outright. Will White and Matthew Thompson, in an EVO 9, were once again bridesmaids, coming in second yet again in this event. The elusive win was taken from them when a turbo pipe came off, costing them close to a minute. A speeding infringement leaving a derestriction zone a fraction too early also hurt their chances. Mark Greenham and Steph Esterbauer were third in their EVO. Mark Dobson and Nigel Jones won the Competition Classic category in their TR7. Nick Mitic and Geoff Duckworth in their Lotus Australia 220 Cup Lotus convincingly won the Challenge class by more than six minutes.